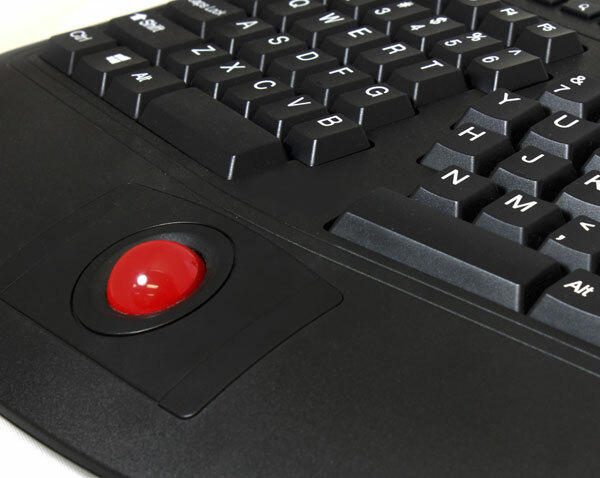 Our new 2.4GHz Wireless Ergonomic Optical Trackball Keyboard offers you an advanced input device with ergonomic design, multifunctional features and a wireless range of up to 30 feet. The design of this keyboard with split key zones and gentle sloping encourages a natural position of the hands, wrists, and forearms for maximum comfort during long use. 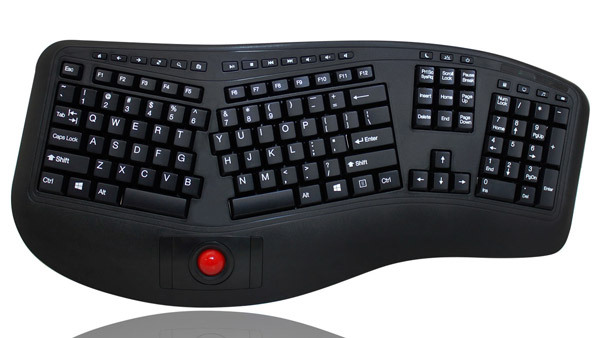 This Multimedia keyboard also features an integrated Optical Trackball which can take the place of your mouse, making it easier to control the movement of the cursor with your personal computer. It's easy, It's comfortable, and no drivers needed. Truly Plug-and-Play!